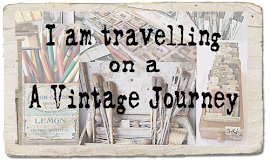 A Vintage Journey: Creative Guides... a little extra! Two things in particular drove the design for this card. The first of those was the need to add more dimension to the stamped elements. It's not hard to achieve with this set of images if you cut/colour two of everything and layer them. 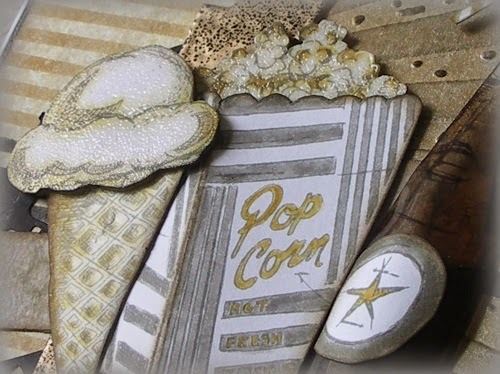 By scoring down the corner line of the popcorn box it became easy to put a fold in that and I even pushed an embossing tool into the 'dimples' on the ice-cream cone. You'll notice the ice-cream and popcorn have a semi-gloss finish to them. This came from deliberately overheating some Frosted embossing powder rather than opting for the regular clear version. 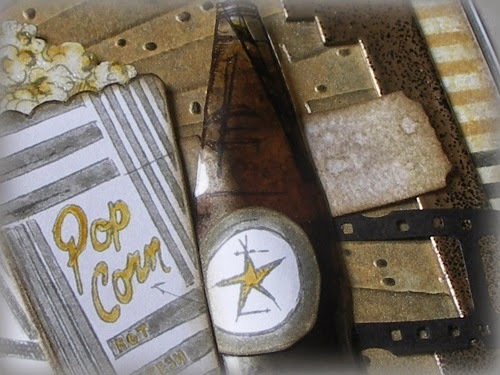 I was desperate to see what the pop bottle would look like with Studio 490 Wendy Vecchi Clearly for Art because it is so mould-able and hey presto, with a little Espresso alcohol ink added on the reverse it worked a treat! 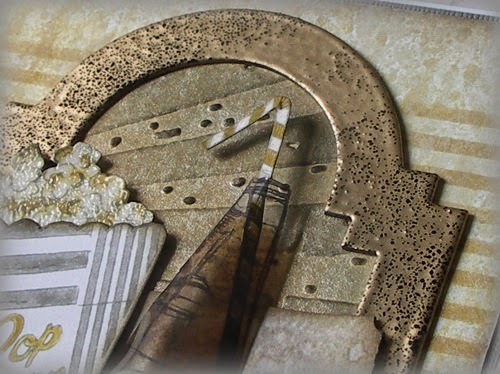 The frame was embossed using Shelly Hickox's faux tarnished metal technique and backed with an embossed panel and stencilled/brayered stains background. If this card puts you in mind of the Art Deco period that's down to the second driver behind this design. Whilst my Grandad was the projectionist at one of the cinemas in Sunderland in the 1920's my Nana played the piano, a traditional accompaniment for the silent pictures of the time. I can only imagine the magic that surrounded a trip to the pictures back then with the glitz and glamour of these magnificent buildings providing a chance for escapism from the daily challenges of inter-war life. There you have it for today, a trip back in time. I hope you have a lovely week with lots of creative time and do make sure you enter our latest challenge 'Wings & Things' to be in with a chance of appearing here yourselves. 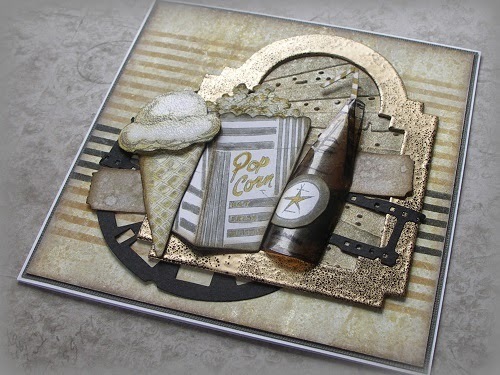 So cool, Jenny... the sunburst in the cabinet card gives the perfect Art Deco look for your cinema refreshments - and I love the cola bottle - so cool! What a great card! Jenny oh! Jenny have said it before but have to say it again .......... 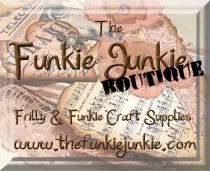 I would love just a "smidgen" of your fantastic talent. O Jenny I just love your wonderful trip down memory lane, the sun burst behind the frame, the effect on the cone and the popcorn, the popcorn box itself, I could go on and on, but the bit that really tops it all for me is the cola bottle, brilliant!! You are so very clever, love this!! How clever this is and so effective with the various textures and dimension. Oh my Jenny! so many fun techniques on this wonderful piece! love the dimension and color - have to go back and look again - also print out for trying it at my own work table!! 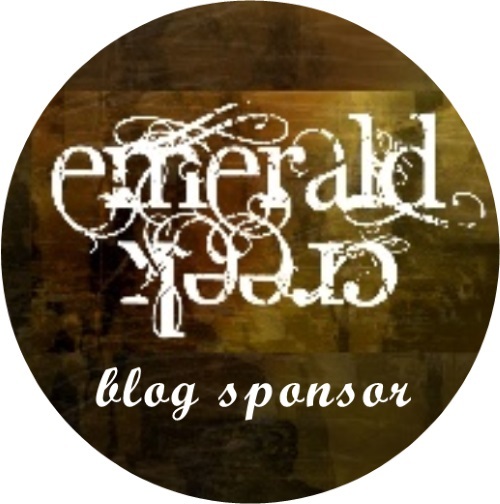 thanks for sharing this delightful project! Oh how I want to go to the movies now! I'm blown away by the way your made the bottle! IT"S STELLAR!!! Love this so!!! PINNING!!! 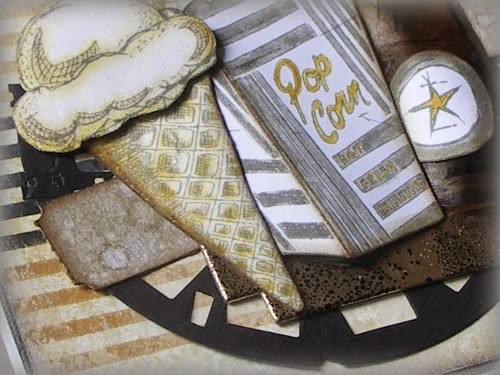 This is ingenious Jenny, a wonderful art deco inspired card full of amazing texture and dimension, let alone techniques. I just adore the incredible bottle, the fabulous ice-cream cone and that gorgeous frame - you did us proud standing in today, thank you so much for such an amazing project and post . Takes me back to when the cinema was truly an experience. They are preserving the old 1920's cinema in our town for the Historical Society and it's got the old ticket window with a tiny space heater and window that opens on a turn spring....LOVE it. Your card suits me to a T. I appreciate this era so much. 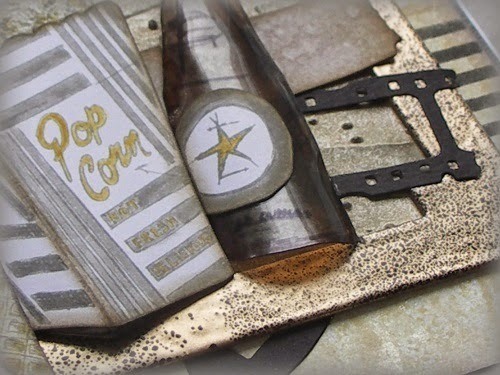 Your card is spectacular and it goes without saying that your soda pop bottle is insanely fabulous. I just love everything about this Jenny. Can't put into words how much I admire your wonderful work. 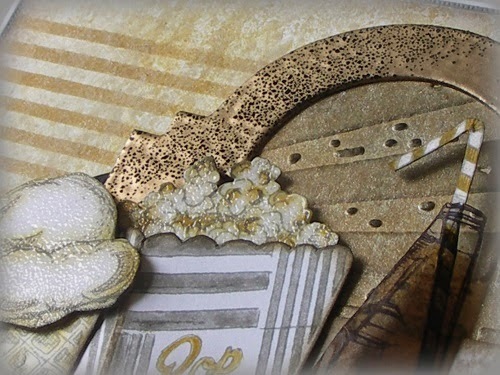 A gorgeous card and so different from your other one that used the same stamps. I love it!